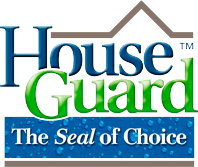 The name HouseGuard was originally and primarily intended to be used in residential construction. However the HouseGuard waterproofing system was designed to address waterproofing structures down to 20 feet below grade, so commercial structures such as condos, banks, libraries and office buildings that have a basement meet the qualifications of the HouseGuard waterproofing systems. The HouseGuard waterproofing systems incorporates TruDry™ and TruDryXG™ waterproofing membranes and Dow Perimate, Green Jacket and Delta Drain products. HouseGuard offers warranties for residential and commercial structures. Product brochures and warranties of all products are listed in the resource library.